The Friday evening announcement of private sector lender Lakshmi Vilas Bank merging with non-banking finance company Indiabulls Housing Finance came as a surprise to the bank’s employees. The employees’ union is meeting the management on Monday to clarify doubts and will hold a meeting on Tuesday to come out with its stand on the merger, said top officials from the The Lakshmi Vilas Bank Employees' Union (LVBEU). “The talks for capital infusion have been going on for some time... almost six months now. The announcement has come as a shocking news for us. We have not spoken to the management and they have given us an appointment on Monday. We have to clarify some points and hear what the management is saying,” said S Narasimhan, president of LVBEU. There are around 5,000 employees in LVB, including the cost-to-company employees. The amalgamented entity will have 14,302 employees. Employees are worried and the Union has asked them to keep calm as they have not heard from the management on the plans. 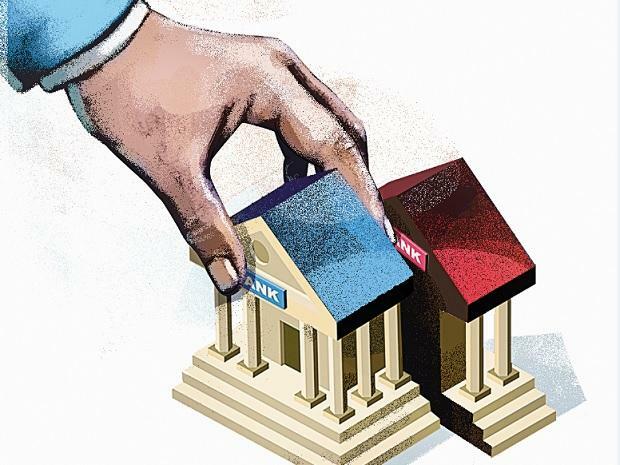 There could also be issues in terms of the culture of the merging entities, since LVB has been a traditional bank, while the Indiabulls Housing Finance is a newer organisation. He feels since it is a rare merger where a private sector bank is getting merged with an NBFC, it is a new scenario the Union is seeing now. In a conference call with the media on Friday, LVB managing director and CEO, Parthasarathi Mukherjee, said that there may not be a clash of cultures due to the merger, as the bank has changed immensly over the years and there are employees from various parts of the country working in branches in Tamil Nadu and other states. It is moving into a new orbit with the new development, and there might be some fine tuning required. It is also examining the compatibility in terms of technology between the two entities during the merger. The Union will also speak to its parent organisation, the National Confederation of Bank Empoloyees. In a conference call with the media on Friday, LVB managing director and CEO, Parthasarathi Mukherjee, said that there may not be a clash of cultures due to the merger, as the Bank has changed immensly over the years and there are employees from various parts of the country working in branches in Tamil Nadu and other States. It is moving into a new orbit with the new development, and there might be some fine tuning required. It is also examining the compatibility in terms of technology between the two entities during the merger. Lakshmi Vilas Bank was founded in 1926 by a group of seven progressive businessmen of Karur under the leadership of Shri V.S.N. Ramalinga Chettiar. Their objective was to cater to the financial needs of the people in and around Karur who were occupied in trading businesses, industry and agriculture. The Bank was incorporated on November 3, 1926 under the Indian Companies Act, 1913, and obtained the certificate to commence business on November 10, 1926. Subsequent to introduction of the Banking Regulations Act, 1949 and Reserve Bank of India as the regulator for the banking sector, the Bank obtained its banking license from RBI on 19,June 1958, and on 11, August 1958 it became a 'scheduled commercial bank' signifying capability to operate as a full-fledged commercial bank. During July 2014, the Corporate office was moved to Chennai. As on 31st Dec 2018, its operations were spread over a network of 569 branches (plus six extension counters) with Pan India presence, supervised by 11 Regional Offices. It has 32 "B" Category branches and 1046 ATMs and deployed POS machines at various merchant establishments. The bank has presence in 18 States and 1 Union Territory.